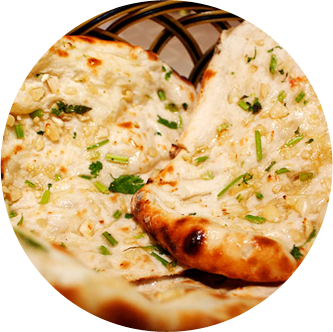 Mughlai Indian Cuisine is Manhattan’s best choice for an authentic Indian restaurant experience. We cater to the true tastes of India and the diverse citizens of New York by offering a comforting taste of home for some and an entirely new cuisine adventure for others. Our Royal Master Chef’s have traveled the world for our recipes and spice blends and are now bringing those unique flavors back with them to NYC so that everyone can enjoy the unique tastes of India. We believe in offering the highest quality dishes to our patrons, expanding their pallets and senses through food and a welcoming atmosphere. Join us for a meal today and see why Mughlai Indian Cuisine is truly “The Golden Taste of India.” Our chef’s know that after one bite your culinary world will be opened up to a treasure trove of delicious memories that your friends and family will be excited to enjoy for all occasions. Our team of Master Chefs also offers full catering services for your next event. Imagine the amazing experience your guests will have while they enjoy a unique menu of Indian food prepared by masters of their craft, who are passionate about their flavors and enjoy bringing happiness to your table. Mughlai Indian Cuisine has two locations in New York City to serve you, our first is on the Upper East Side; 1724 2nd Avenue, and our second location is located in Kips Bay at 329 3rd Avenue. We are here to serve you for lunch Monday – Sunday 11 a.m. – 3 p.m. with dinner service starting at 5 p.m. on weekdays and 3 p.m. on Saturday and Sunday. Come in to Mughlai Indian Cuisine today to experience the difference for yourself, or feel free to use our online ordering system to order your take out ahead of time so you can simply pick it up on your way home.